It's been far too long since I read one of Edith Wharton's novels. I read most of her books during one summer many years ago & I've always meant to get back to the few novels & stories I haven't yet read. As so often, the mention of an author in my online reading group inspires me to start a book. This time, someone had been reading The Age of Innocence for her real life bookgroup. 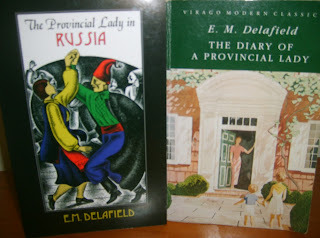 Then, someone else mentioned how much she loved A Son at the Front &, as I have the complete works of Edith on my e-reader, I started the book that very night. Maybe my e-reader will be good for the overflowing tbr shelves? If I'd had to wait until I could get hold of a hard copy of A Son at the Front the mood would have passed & it probably would have sat on my shelves for years. John Campton is an American living in Paris. He's an artist & has become quite famous over the years. He married young & his only son, George, was born in Paris. Campton & his wife, Julia, soon parted. She remarried & her second husband, Anderson Brant, is a rich financier. The Brants had custody of George & he was brought up in America with plans for him to enter his stepfather's bank. His father has only recently made contact with him again. The book begins in 1914, just before the declaration of war with Germany. As George was born in France, he has already done his National Service there & will be called up to fight in the French Army when the war begins. Campton & Julia are desperate to prevent this & Anderson Brant, who loves George as his own son, uses his influence to get George a staff job behind the lines. Unbeknown to his parents, George is aware of their machinations & immediately transfers to an infantry regiment as soon as he can. They only discover what George has done when they hear they he has been gravely wounded. Contrary to the picture on this edition of the book, none of the action takes place at the Front. This is a story about the people left behind when the soldiers have gone to war. It's a story about family relationships & about a man who has to realize that he may lose his precious son all over again just when he has begun to know him. John Campton's life has been devoted to his work. It was his infidelity that led Julia to leave him & he wasn't sorry to see her go. He did regret losing George & he has resented Anderson Brant ever since. His jealousy is about Brant's relationship with George rather than his relationship with Julia. Partly it's because Brant was able to give George all the material comforts that he could not & now, when Campton must rely on Brant's influence to help George, their carefully negotiated, politely distant relationship is shattered. Can't you understand how I've felt, looking on helplessly all these years, while you've done for the boy everything I wanted to do for him myself?... Do you suppose I'd have wasted all these precious years over (painting) their stupid faces if I hadn't wanted to make my son independent of you? And he would have been, if the war hadn't come; been my own son again and nobody else's, leading his own life, whatever he chose it to be, instead of having to waste his youth in your bank, learning how to multiply your millions. Ironically, Campton & Brant grow closer through their love for George. Brant's essential decency & tact impress Campton. They all have to realize that George will make his own decisions & live his own life. Even when they thought they were pulling the strings, they discover that George has been making his own decisions for some time. Campton is also forced to recognize the shabbiness & dishonour of what they tried to do when he sees a rich American woman desperate to save her lover from the trenches. He realizes that his motives are just as selfish. He can't despise Madame de Dolmetsch without despising himself as well. It's his ideas that you don't understand, any more than I do. It's the war that has changed him. He says he only wants things that last - that are permanent - things that hold a man fast. That sometimes he feels as if he were being swept away on a flood, and were trying to catch at things - at anything - as he's rushed along under the waves... he says he wants quiet, monotony... to be sure the same things will happen every day. When we go out together he sometimes stands for a quarter of an hour and stares at the same building, or at the Seine under the bridges. But he's happy, I'm sure... I've never seen him happier... only it's in a way I can't make out. A Son at the Front is also a fascinating portrayal of Americans in France during WWI. Edith Wharton lived in France & was very active in refugee charities during the War. There are the young hot-headed men who are desperate to fight & are ashamed by America's neutrality. There are the rich, idle society women who put on charity galas to raise money & also the society women who actually do some of the hard work - nursing &raising money - to help the many families left destitute by the death of a breadwinner. A Son at the Front is an absorbing book about Americans abroad, about fractured family relationships & about the way that war upsets all the certainties of life. Unfortunately it was one of her least successful novels. Written in 1919, no one wanted to read about the war so soon after its end & it wasn't published until 1923 when the reviews were lukewarm. Edith Wharton was as constrained by the expectations of her audience just as much as any author today who feels trapped on the treadmill of a series or a character. Her publishers wanted another House of Mirth & so she put away A Son at the Front & gave them The Age of Innocence which went on to win the Pulitzer Prize. I thoroughly enjoyed reading A Son at the Front & it has reminded me of all the things I enjoy about Edith Wharton's writing & I will definitely be reading more of her work very soon. Hadn't heard of this one but will definitely be giving it a go, thanks. I hope you enjoy it. It's one of her lesser-known books but I found it very interesting. It was an unusual combination of Americans in paris with the WWI theme as well. Lyn, when I read "Contrary to the picture on this edition of the book, none of the action takes place at the Front. This is a story about the people left behind when the soldiers have gone to war." I immediately thought of the Cazalet series by Elizabeth Jane Howard. I've just checked your author list and I don't see here name so, if you haven't read these, run to the bookshop for classic middlebrow second world war reading. Rose, I have indeed read the Cazalets but it was pre-blog. I listened to Jill Balcon read the first two books but I just couldn't wait to find out what happened next so borrowed 3 & 4 from work. Just wonderful. This is a Wharton I don't know...I will definitely seek it out though - thanks for the great review. Thanks Dragonfly Daydreams. It's one of EW's books that is less well-known but I thought it was a great read. I hope you enjoy it if you have a chance to read it. I have read most of the Wharton novels and short stories but have never read this one, so was especially interested in the piece. I think another underrated Wharton novel is Twilight Sleep. Passing Tramp, I haven't read TS but I have a Virago edition as well as the e-reader copy so I really must get to it soon. Now that I've rediscovered Edith, I'd really like to read the few novels of hers that I haven't read yet. It is one of my dirty little literary secrets that I have never read Edith Wharton. I think you have a treat in store if you decide to read EW. She's one of my favourite writers. I love Wharton have been seriously ignoring her lately. I have at least three books by her, both novels and short stories, on the TBR shelf. I must give her another go after I finish up my Victorians for the summer! Well, she was a Victorian even though most of her books were published in the 20th century! I still have a few of her novels to read & I plan to get on with them sooner rather than later - until the next enthusiasm comes along, of course. I finally bought the international ePub release of the "Complete Works of Edith Wharton" from Delphi Classics just to get this novel - it's the only digital release of it available. I stumbled across the evocative title when reading a bio of Edith Wharton, then read a synopsis. I was surprised at how nearly all of her other works were available digitally except this one, and was very glad when the Delphi collection was released. This is a superb novel, and even though it's nearly a century old, it's well-paced and gripping. The utter hopelessness and waste of war comes through in the telling of the experiences of those left behind, which provides a fascinating perspective and possibly works better than describing the horror of the trenches first-hand. I have the Delphi edition too. It's a shame it's not well-known & wasn't appreciated when it was published but I think it was just too soon after the war for readers to appreciate it. As I said, she was also constrained by her readers wanting more of her successful New York novels. Linda Gillard's new book available now!